Valentine’s Day is hard for boys. Something that I guess never really changes. 🙂 Anyway, it’s all about pink and hearts and lovey dovey stuff…not cool for my big boy. I could have totally gone the store-bought route for Valentines, but that’s no fun for me. So, I found these non-girly mazes in the party section at Dollar Tree, and now Evan has some aMAZEing Valentine’s to hand out! Ok, I did sneak in a little heart on the bottom. It IS Valentine’s Day after all! 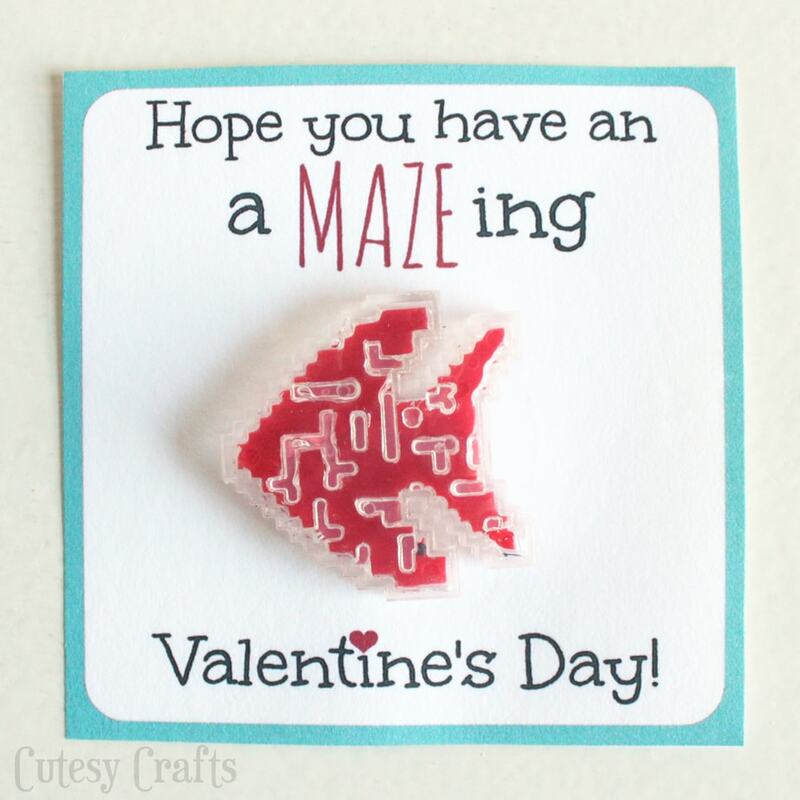 Happy Valentine’s day to you, here are your free maze Valentine printables! Just print ’em out on some card stock, and hot glue the mazes on! Easy! Hope you all have an aMAZEing Valentine’s Day! 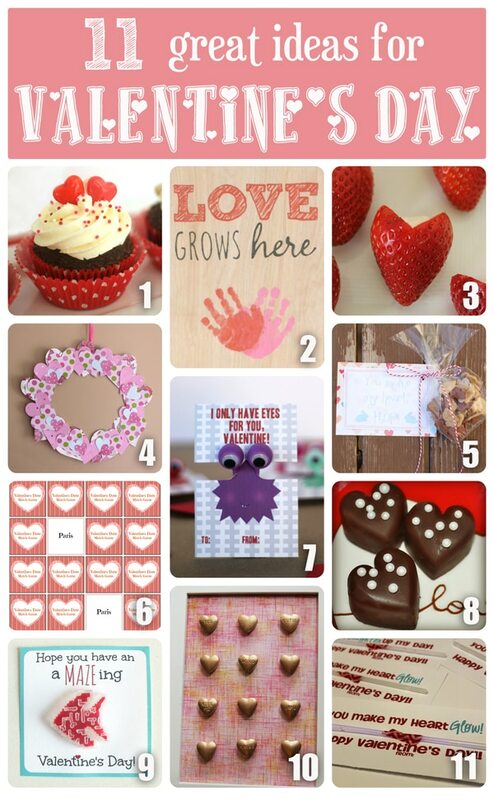 I’ve posted this project along with 10 of my other awesome blogging buddies to give you 11 great ideas for Valentine’s Day! Go check them out and give them some comment love. I know you will love their blogs! 6) Valentine’s Date Night Match Game by Play .Party. Pin. Thanks Brook! My kids love them! How fun! I used to love those little mazes. It’s fun to get little toys, instead of candy that will be gone the next day, great idea! Yeah, I’m not a big fan of candy for the kids. Thanks! These are seriously so adorable and I love that either boys are girls would like them. Having 3 girls, I’ve never thought about the fact that V-day is probably kind of a bummer for boys…so much pink and hearts! I love those mazes! They look like little 8-bit video game characters. Love the printables! Thank you! Thanks Alexis! It was hard to find ones that weren’t hearts this time of year. These are so cute Jessica. 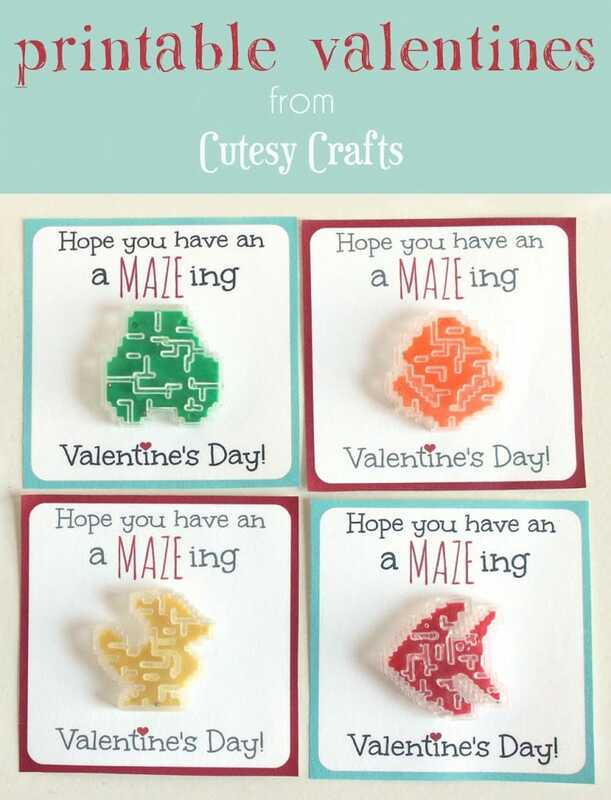 My little one isn’t quite old enough to give out Valentine’s yet but when he is, this is a great idea for boy valentines! Such a cute idea Jessica! 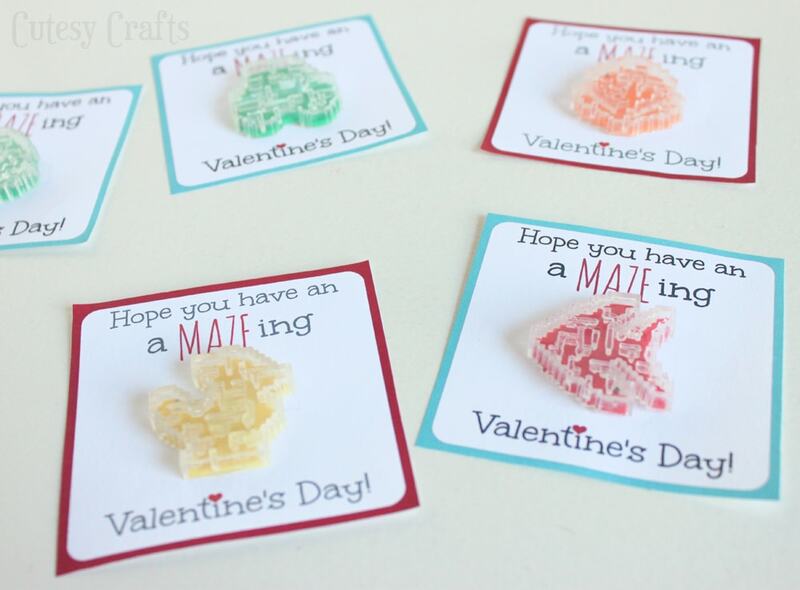 I guess I haven’t put much thought into how sappy Valentine’s Day can be for little boys, but these are sweet and fun for everyone. Awesome job! Thanks Toni! The kids in his class loved them!